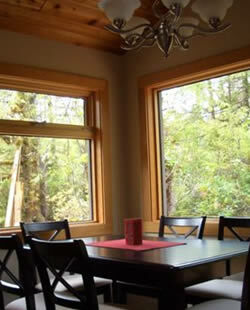 Vargas Island Inn is located a short boat ride from Tofino on Vargas Island. This large home with two smaller cabins is a ideal for kayak groups, family reunions, weddings or a large group of friends. One of the amazinge perks of staying at Vargas Island Inn is the rugged trail from the Inn's door to the world-renowned white sand beach at Ahous Bay. Contact Julie or Brian (above) for more information or to book your stay.